I know that baking bread can be an intense and often intimidating process, but fortunately, there are bread machines nowadays that make it easier than ever. Once you start using an automatic bread machine, you’ll never look back! But how will you choose the best automatic bread machine if you don’t know much about them? There’s nothing to worry about because you’re at the right place. Here, you will find a review of the best automatic bread machines on the market. So stay tuned, and by the end of this post, I’m sure that you’ll have the right automatic bread machine model in your Amazon shopping cart. Panasonic is a very well-known brand in the world of technology and electronics, and it’s most likely that you’re very familiar with them. In case you didn’t know, Panasonic not only produces kitchen appliances, but also produces bread machines, including automatic bread machines. Their specific model, the SD-YD250 offers a lot of features and value for the money, making the bread baking process automated. A great feature that I really like about this particular automatic bread machine is that it comes with three different loaf sizes, which is a very good deal for a large family. Numerous settings that include white, whole meat, multigrain, French, quick bread, and even cakes will satisfy everyone’s needs. In case you tend to be busy during the day, or in case you prefer to wake up to a freshly baked bread loaf, there is a feature that you will love. It’s a 13-hour delay start timer that is programmable and you can set the timer to your desired time. 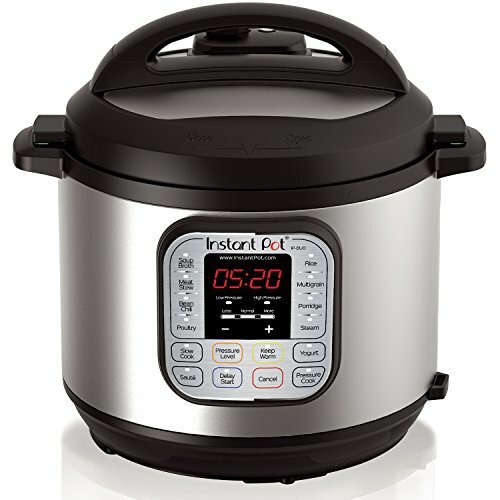 It makes meal planning a lot easier, and you won’t have to worry about getting home or waking up just to start the bread maker. In my opinion, one of the best features of Panasonic Automatic bread machine is that it adds yeast at the optimum time. Such feature makes sure that you always get the perfect bread. It’s a really powerful feature why I would always recommend automatic bread machine over anything else. When a perfect bread loaf is baked, it’s very simple to take it out without having to worry about burning yourself. The non-stick coating inside the pan and built-in panhandle are a great combination that makes the job way easier. There are many additional accessories that come with the Panasonic Automatic bread maker and even although they come at an additional price – they’re not expensive and they’re very useful and worth the value. Simply when choosing the model on Amazon, choose the model with the accessories you’d like to receive. Or, you can just purchase the accessories independently. The Panasonic Automatic Bread Maker has 4/5 stars on over 3,000 customer reviews on Amazon. That’s an impressive amount of customer reviews! T-Fal is also a well-known kitchen appliance brand, and yet, they still amazed me with the quality of their ActiBread automatic bread machine. There are unbelievable 15 different settings that are programmable. This automatic bread maker also has the ability to create gluten-free bread. The most popular settings are gluten-free salty, gluten-free cake, rapid whole weat, French, dough, cake, and many others. There are no limitations of whatsoever, and that’s what I really like about this model. T-Fal ActiBread automatic bread machine offers the ability to choose between 3 different size loaf breads. You can either choose between 1, 1.5, or 2 lb bread loafs. At the same time, you also have 3 different crust settings to achieve the perfect bread for your liking. 700 watts of power in this small and convenient machine will let you choose between light, medium, or dark crust setting. Digital LCD display featured on this particular model will help you to easily navigate and choose the right settings. There is also an indicator light featured for safety reasons. If you prefer to mix the ingredients, yet start baking your perfect loaf later, the delay feature will be useful. You could delay the baking up to 15 hours, and the automatic keep warm feature will always make sure that your bread machine doesn’t cool down while you wait, or sleep… or work! By the looks and feel of the T-Fal ActiBread automatic bread machine, you can get the feeling of premium, durable, and reliable machine. Brushed stainless-steel housing that has black accents offers a really nice minimalist design that will attract attention while complementing your kitchen. The display is located on the top-loading windows which makes things easier. In the inside, there is a non-stick coating installed on the inner pan that makes the handling and cleaning a lot easier. Who doesn’t like useful accessories, right? With T-Fal ActiBread automatic bread machine, you will get a measuring cup and spoon, kneading blade, hook, and an amazing recipe book that features 25 recipes for your pleasure. The T-fal ActiBread Programmable Automatic Bread Machine has 4.1/5 stars on over 1,000 customer reviews. The SKG automatic bread machine is a great bread machine I’d recommend to any beginner out there. However, it will still work for everyone else who isn’t getting their first automatic bread machine. SKG did really put a lot of effort into making the easiest automatic bread machine to use. 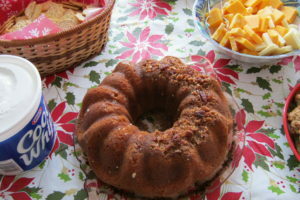 There are bunch easy-to-follow recipes included, instructions on how to add ingredients, buttons are briefly explained and very easy to understand. Basically, this automatic bread machine is made to do everything for you, with a little help of yours. There are 19 different automatic programs which is more than I have seen in any other automatic bread machine including basic, French, gluten-free, corn bread, and many others. You also get to choose between 3 different loaf sizes which is a very convenient feature for smaller and larger families. You can also choose between 3 crust color settings which are light, medium, or dark. Simply set up an alarm and you can do anything else without having to pay attention to the SKG automatic bread machine. It features 15-hour time delay option and it also has installed 1-hour keep warm feature that is very convenient for scheduling and preparation. The best part about this automatic bread machine is its perfection in details. The bread pan is made precisely to ensure that the bread loaf is baked evenly from all sides. On the outside, brush stainless steel housing doesn’t only look nice, but it also feels very reliable and durable. On the top, you can find a lid that has a viewing windows which is very convenient. At the bottom, there are non-skid marks that will make sure your bread machine doesn’t move no matter what surface it’s on. Design and material choice make sure that the look of SKG automatic bread machine stands out, but that it blends well with any kitchen interior as well. The SKG Automatic Bread Machine is a newcomer to the market but still has over 240 customer reviews and best of all, it has 4.6/5 stars on those customer reviews! If you’re looking for an automatic bread machine that comes with a large capacity and is suitable for different recipes and tastes – Aicok is the one I’d recommend. It’s more than perfect for larger families. 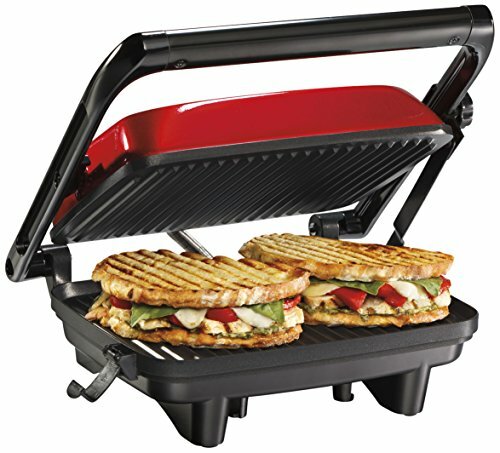 Aicok happens to also make high quality sandwich and waffle combo appliances! In addition to that, we’ve written a thorough review on this bread maker here. There are three crust settings which is either light, dark, or medium. And the loaf capacity is from 1.1 to 2.2 lb which is the largest capacity I’ve seen so far for automatic bread machines. Baking a perfect bread loaf to your taste has never been simpler. As usual on almsot every automatic bread machine, there is a 15 hour delay timer featured which can be verey handy and useful. Also, there is 1-hour automatic warm-up function which makes preparation in advance way easier. To achieve the perfect bread loaf, you have the ability to choose from 15 different automated programs. There is a variety of bread available such as French, quick bread, gluten-free, and many others. Enjoying a delicious variety of bread has never been easier. On top of this automatic bread machine, there is a view window and detachable lid which is very convenient. You can track the baking process at anytime, and you can detach the lid for easier access that can help you with the cleaning of the bread machine. Removable parts are also dishwasher safe which is a great thing to see. In case you purchase Aicok automatic bread machine, you will be covered with a 2-year warranty from the date of purchase. If you ever encounter any problem, you won’t have to worry about anything. With the automatic bread machine, you will also get a bunch of useful accessories which include dough hook, measuring cup, bread container, and measuring spoon. In case you aren’t satisfied with the bread machine, you can return it within 30 days from the date of purchase and you will get a full-money refund. The Aicok Automatic Bread Machine may only have approximately 150 customer reviews, but it has an impressive 4.6/5 stars on those customer reviews! Click here and use code YY-20%-OFF for 20% off your purchase on TOBOX.com! Nobody likes to clean up, right? Especially after a great meal. That’s why the Tobox automatic bread machine is made to be very easily cleaned. 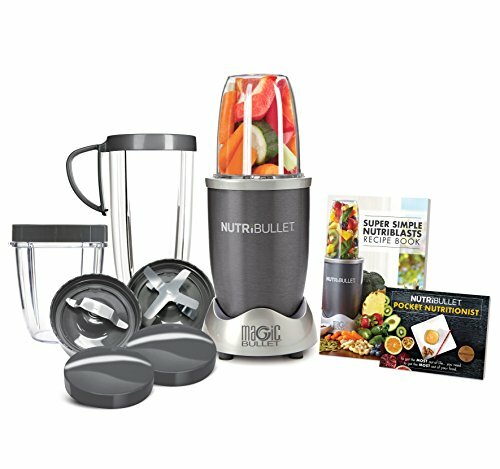 It features non-stick and dishwasher-safe parts that can be cleaned effortlessly. On the outside, it’s made from aluminum, while on the inside, it’s made with a non-stick coating that helps the baking and cleaning process. There is an LCD display which offers 19 different baking programs that provides a variety of breads. Such as French, gluten-free, and many other. Also, you are able to control the crust and capacity of a loaf. You can choose between light, medium, or dark crust and capacity of 1.1, 1.5, or 2 lb. Such combination of functions help you match your favorite taste with a few simple adjustments. Whenever you want to prepare the baking process up-front, useful delay timer will help you to delay the baking process up to 15 hours. There is also a 60-minute warm keeping feature that works well in combination with a delay timer. Waking up to a freshly baked bread loaf is priceless. If you aren’t satisfied with the Tobox automatic bread machine, simply contact the Tobox within first 30 days of purchase and you will receive a full money refund. You are also covered with 1-year warranty. The TOBOX Breadmaker Automatic Bread Machine has 4.1/5 stars on over 50 customer reviews. Even if you have never created a bread loaf yourself, now is the right time to take action, and with the help of these automated bread machines – create a bread loaf for yourself. These are some of the best automatic bread machines on the market and you won’t be disappointed by going for any of them. They all offer a great value to price ratio. What are you waiting for? Creating your perfect bread loaf now has never been simpler. Get to it, and let me know how it goes.